Recently I came across a very useful and interesting article on how the latest technologies are changing the way how software is developed and also how the skill set of developers for doing different kind of works has changed. I agree with most of the points menti0ned in the article but there are few things like making use of only WYSWYG editors for creating websites and apps may not be the right approach as customization and making things look unique would be very important. Hope you will find the information in the article useful, please do share your comments and thoughts on the article in the comment section of this post. I have been working on setting up CentOS v6.3 and could successfully install the OS on a VMware Virtual machine. But i had trouble getting the IP Address for the machine. Whenever I ran ifconfig I got only the loopback adapter, but never got the eth0 adapter info. In my case the problem happened because of mismatch between MAC address of the actual NIC card and the MAC address in the eth0 file. 1) Ensure that MAC address (HWADDR) in the file /etc/sysconfig/network-scripts/ifcfg-eth0 is same as MAC address of the actual NIC card. If not, edit the same in the file. Ensure that ONBOOT option is set to yes, so that the interface starts . Now you should get the IP to the device. 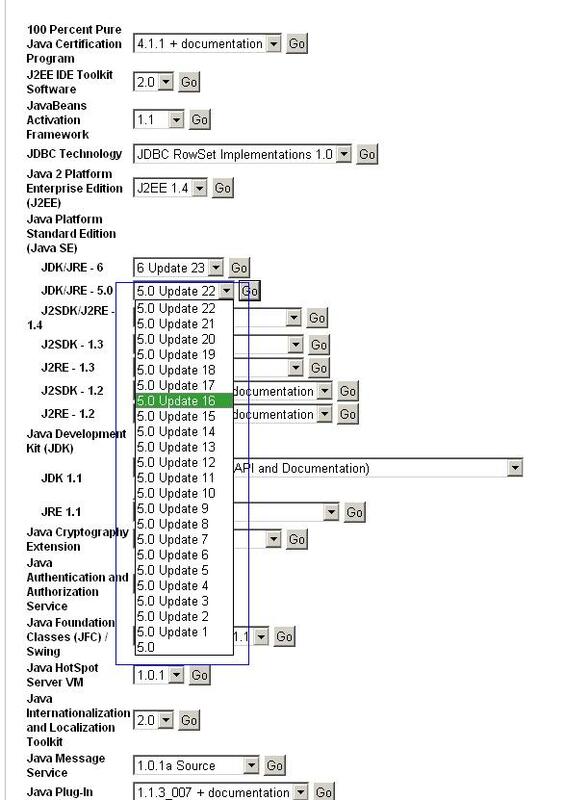 Recently I wanted to download OLD version of JRE and I was search Oracle site & also on the NET.. but i couldn't find a easy source.. By spending sometime on Oracle Portal I found the below LINK which has ARCHIVES of OLD JAVA products. 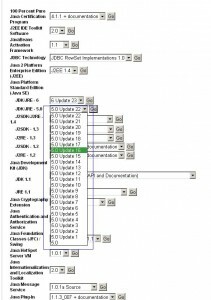 Please find a screenshot from the page below showing different OLD VERSIONS of JDK 5.0. If you are looking for a GOOD BOOK on Data Structures and Algorithms i would recommend book by Mark Allen Weiss, books are available for C & JAVA programming perspective.